While some famous fizzy drink brands add weird and wonderful flavours to their range in Japan, Coca-Cola has been cornering the market with a growing collection of limited-edition bottles dedicated to different regions around the country. 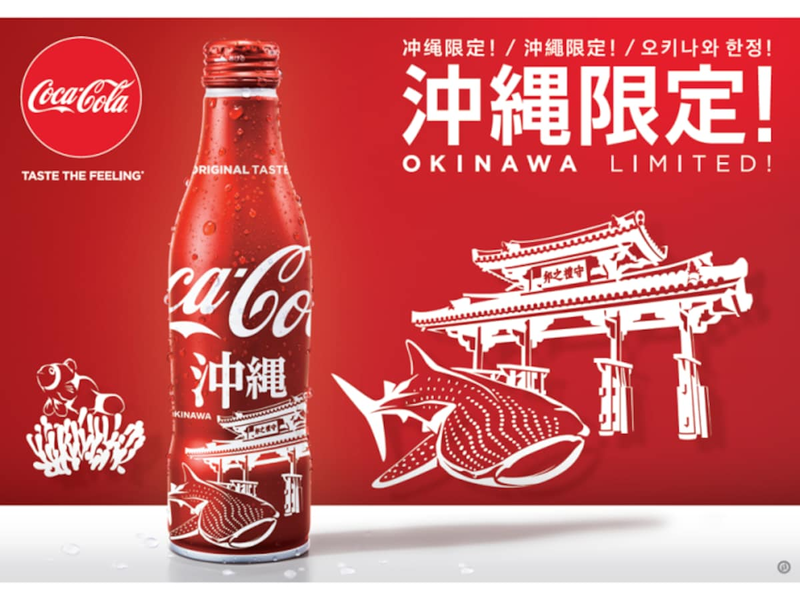 Coca-Cola is expanding the range yet again, to include the country’s southernmost island of Okinawa. The Okinawa bottle features Shureimon, a famous gate at Shuri Castle in the capital city of Naha, along with an image of a slow-swimming whale shark, which is the star of Churaumi Aquarium. On the rear of the bottle, you’ll find a clownfish swimming amongst sea anemones, which is a nod to the area’s rich sea-life and diving culture. It’s a great advertisement for Okinawa, and people wanting to get their hands on one of these will have to travel there to get one. The new bottle will be available to purchase at stores, souvenir shops, and vending machines on the island from April 1, 2019. If you’re on Japan’s mainland, don’t despair—you might not be able to get an Okinawan Coke bottle, but you will be able to drink from a limited-edition sakura bottle during this year’s hanami flower-viewing season! Read the original story from SoraNews24 via the link below!